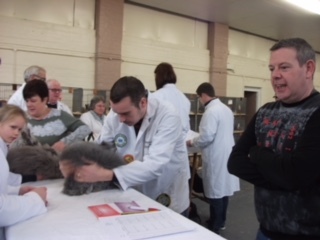 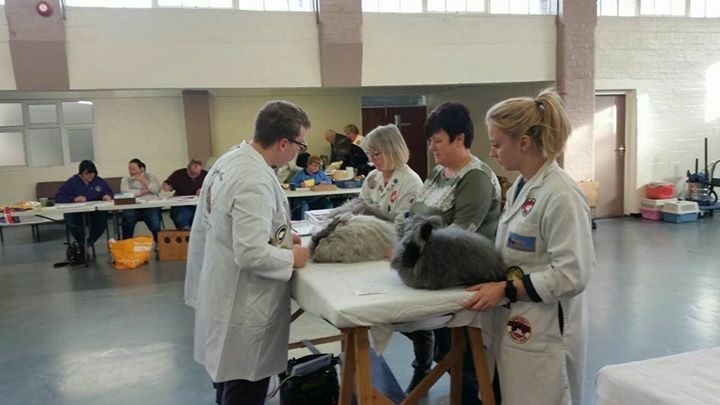 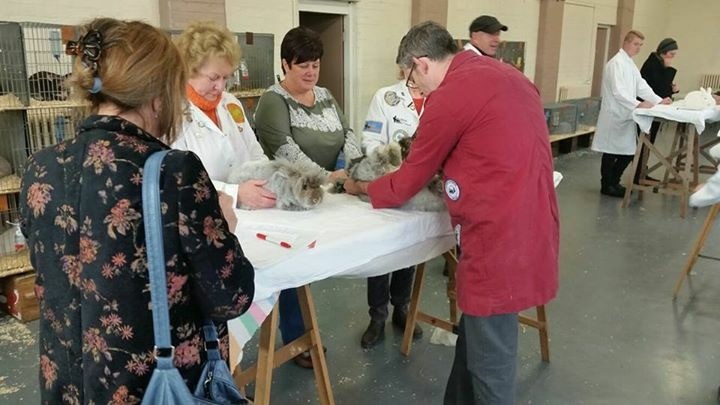 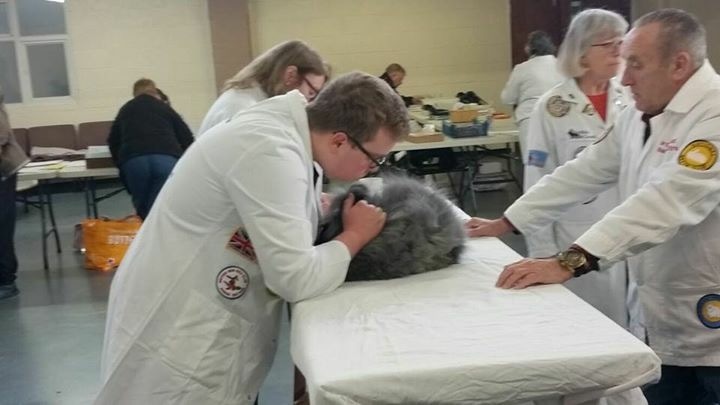 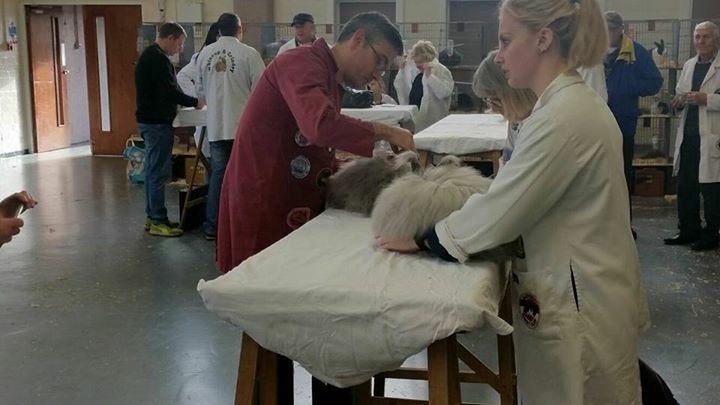 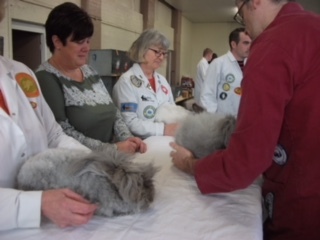 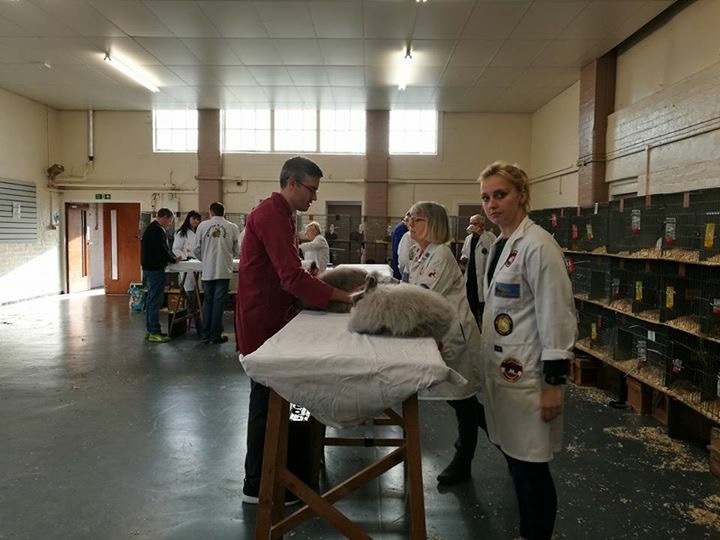 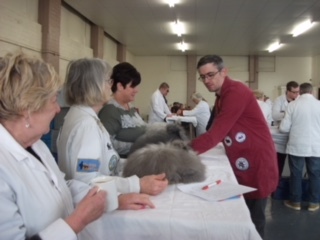 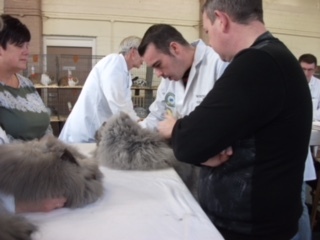 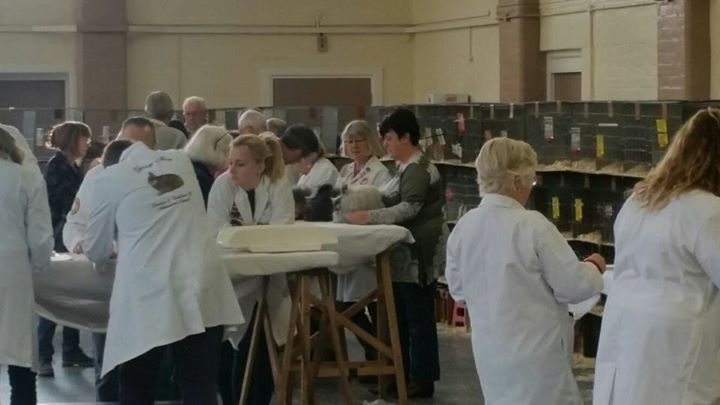 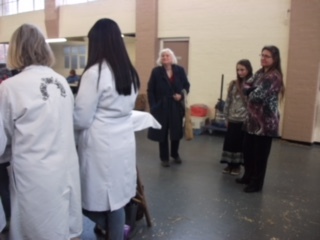 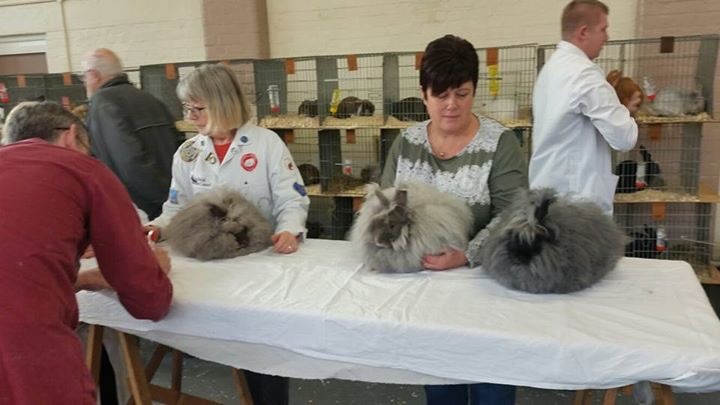 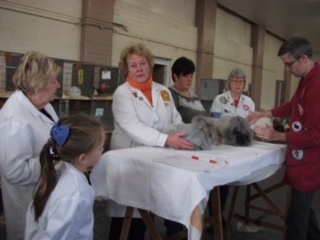 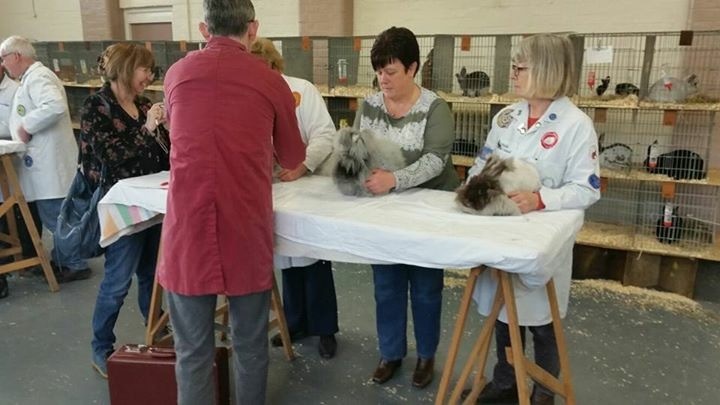 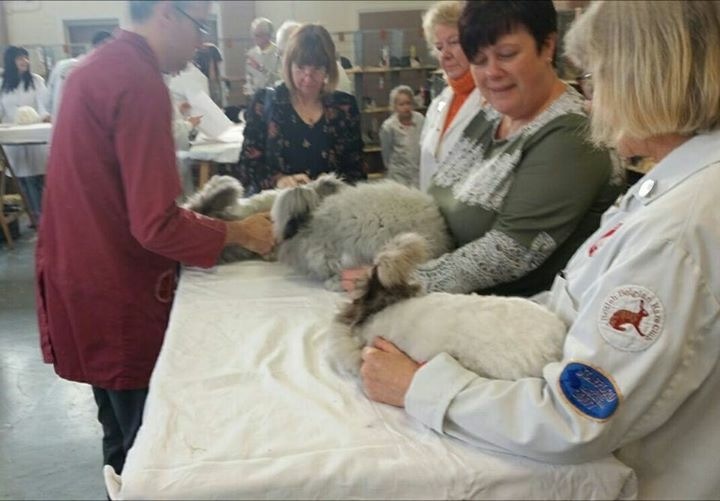 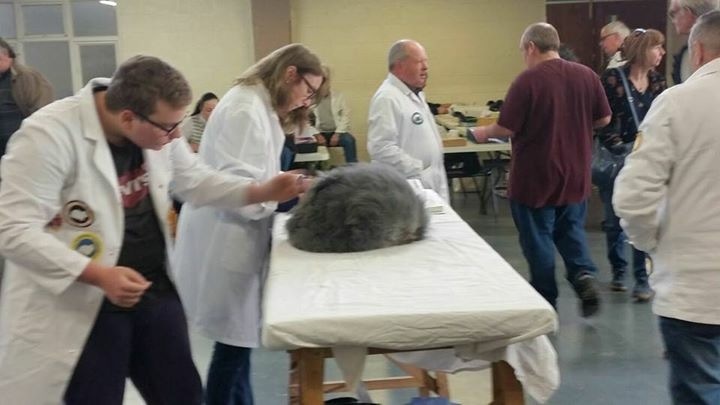 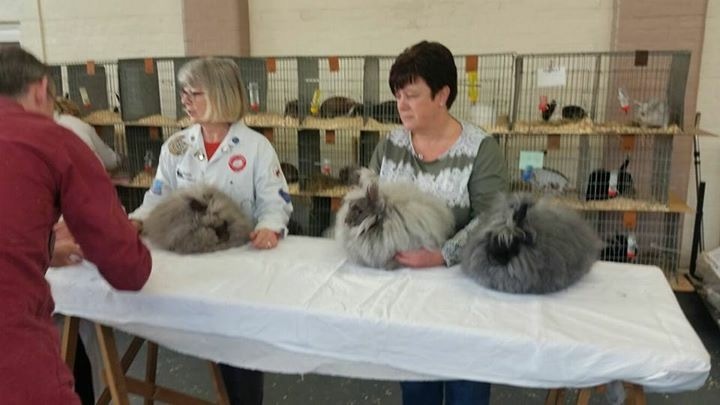 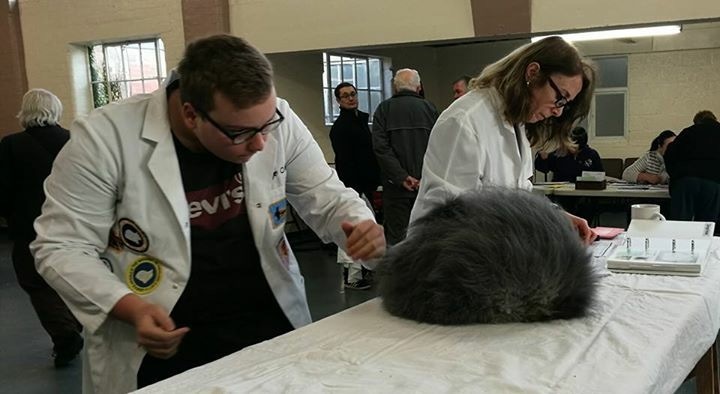 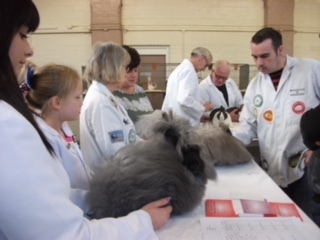 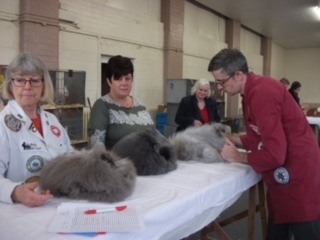 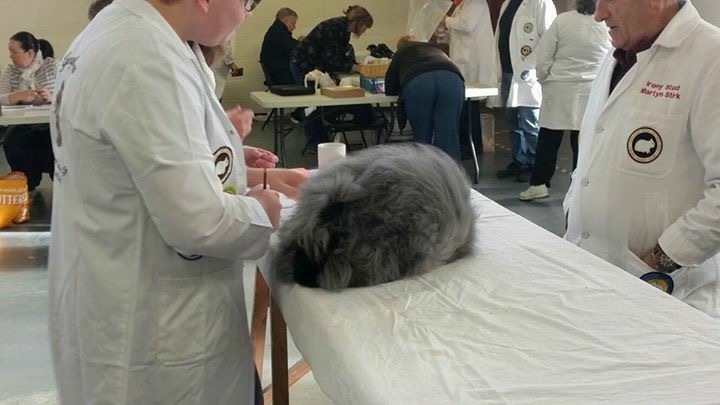 The National Angora Club Stock Show was held 26th November 2017 Coventry and was a successful show. 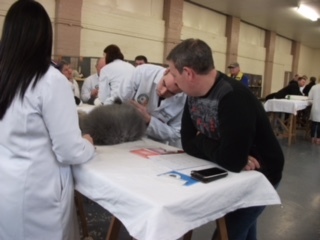 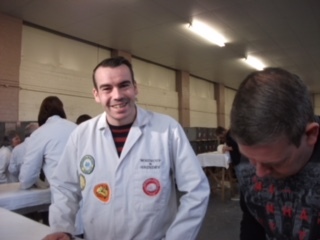 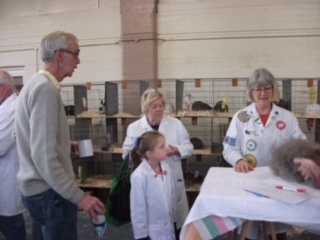 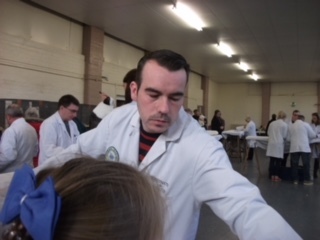 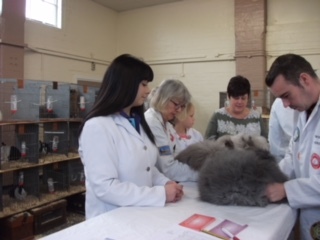 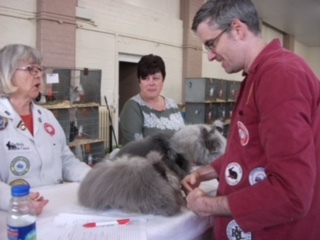 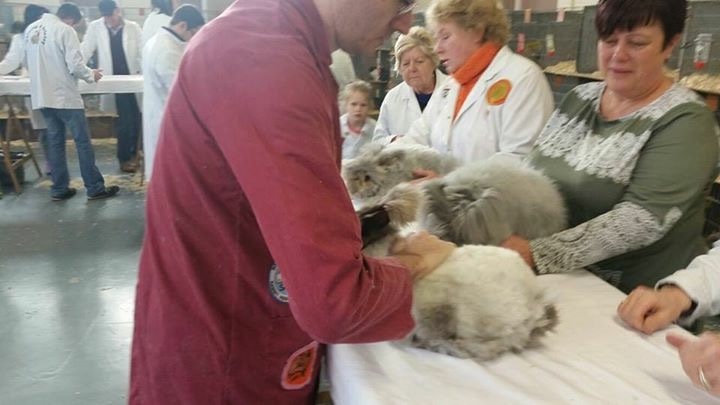 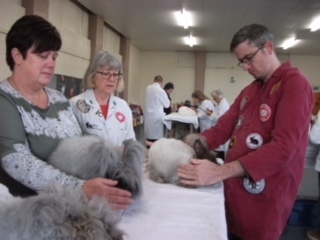 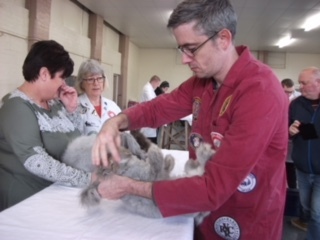 The main Judge for the Stock Show for the Angora rabbits was NAC member and Judge Simon Whincup. 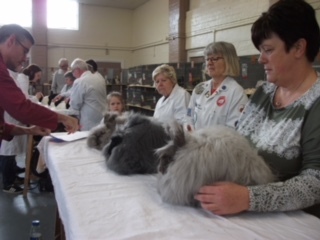 Best In show was Sally May (Bourne Stud) under 4 months (u/4) Chocolate doe called Chocolate Phrynne of Bourne. 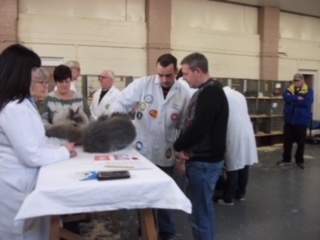 The Best Smoke was from Linda David (Rainbow Stud) in the under 5 months (u/5) Smoke Doe called Myfanwy. 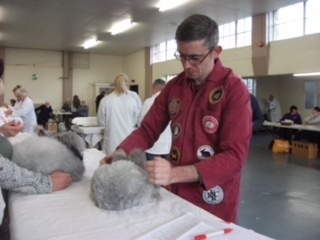 The Best Lilac was also from Rainbow Stud, an Adult Lilac Doe called Elinor. 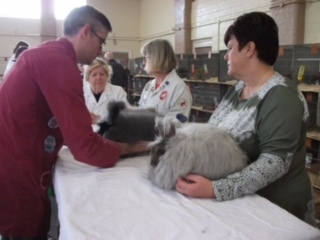 The Best Stud Buck or Brood Doe was also from Rainbow stud where there were three entries. 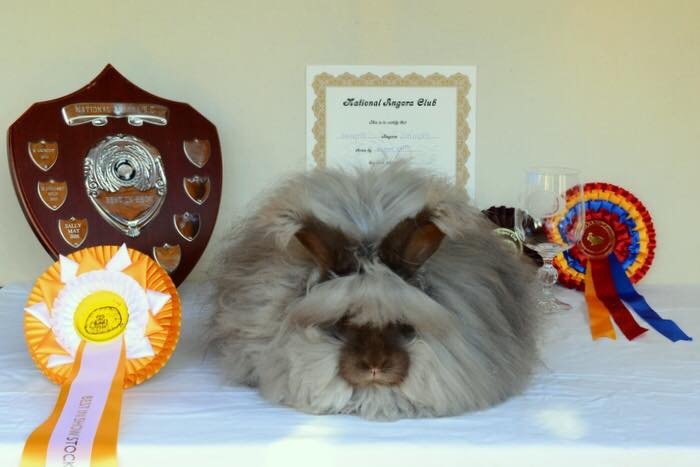 **Main Show – judge Richard Grindey. 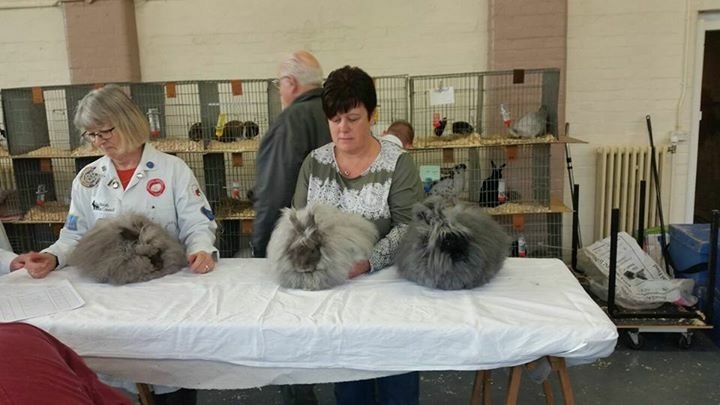 1st – Rainbow Stud – u/5 Smoke Doe – Rainbow Myfanwy. 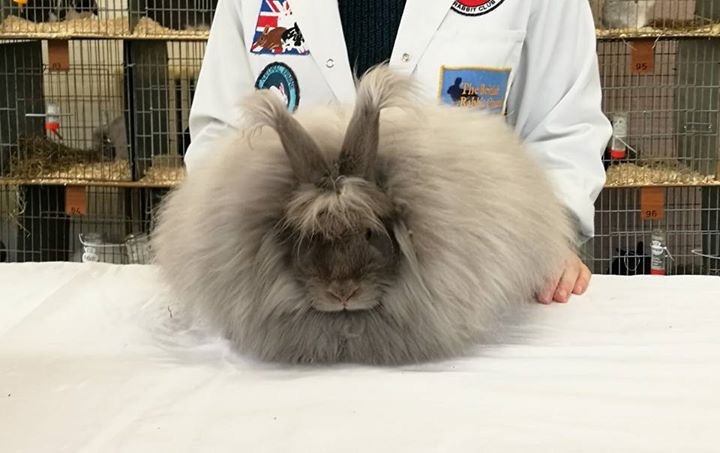 Posted 26/11/2017 by SM & filed under Rabbit Shows.